Take a moment to get to know our company and learn how we can provide proven, quality solutions for your commercial or residential heating and air conditioning needs. We are proud to have provided value-driven and the best quality air conditioning and heating sales, repair, maintenance and installation services since 1981. Kaiser ACs HVAC service technicians are on call to provide timely and quality service. 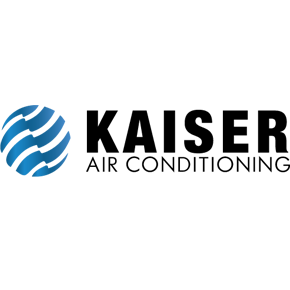 When visiting your home or business, Kaiser Air Conditionings team will arrive with up to date product, jobsite safety & regulatory compliance training. Our HVAC professionals deliver honest answers, provide attention to detail, maintain clean work atmospheres & ensure the smoothest possible services interaction. Kaiser ACs knowledgeable Comfort Advisors are ready to help research, design and coordinate installation for residential or commercial applications. We offer competitive pricing on a great selection of Energy Star® qualified and energy cost reducing heating, air conditioning or interior air quality (IAQ) systems. Kaiser AC is a Lennox Premier Dealer and offers exceptional value on the Dave Lennox Signature line of HVAC systems. Kaiser Air Conditioning operates a full service sheet metal fabrication facility in Oxnard for producing custom HVAC ducting, flashing, metal roofing or siding, kitchen and bath products, and decorative metal solutions. We are able to eliminate outsourced material costs, provide a value-added service to our residential and commercial HVAC customers, and complete custom or complex installations not available through other service providers. Headquartered in Oxnard, Kaiser AC proudly services Ventura County and surrounding areas that include: Agoura Hills, Moorpark, Santa Paula, Fillmore, Ojai, Oxnard, Camarillo, Santa Barbara, Thousand Oaks, Simi Valley, Newbury Park Westlake, Carpinteria, Malibu and Pt. Hueneme. We are just a quick phone call or email away and are ready to help. Contact us to learn more. Currently there are no reviews for ' Kaiser Air Conditioning '.